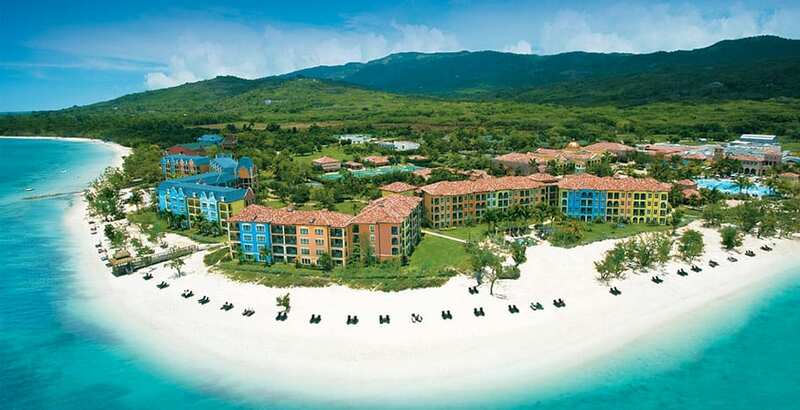 This 5-star, couples-only, all-inclusive resort is our absolute favorite out of all of the Sandals properties! 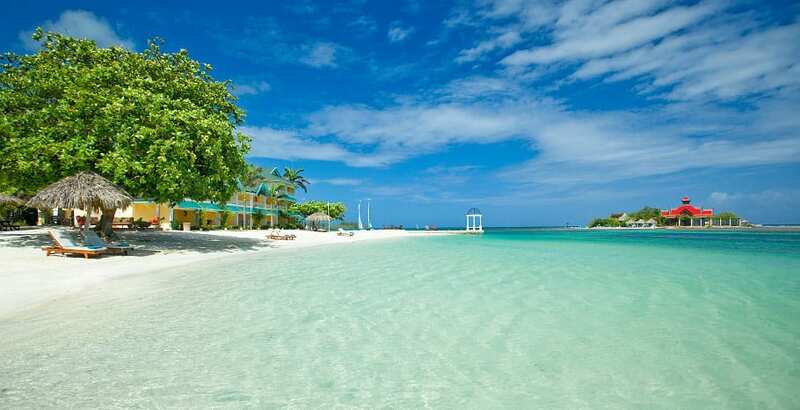 Located on the southwest side of Jamaica in White House, Jamaica, Sandals South Coast boasts all beachfront rooms. With an amazing beach and incredible views of the mountain and countryside, this resort has something for everyone. Even the drive from airport to resort is memorable at this property. Your transfers will take you up and around the mountains, through Jamaican neighborhoods and shop areas. Not for the faint of heart as there is no guard rail on the road to this secluded property! Another reason we love this resort is that it is located right by Black River Bay, so boats pick you up right from the resort for watersports and cruises excursions. 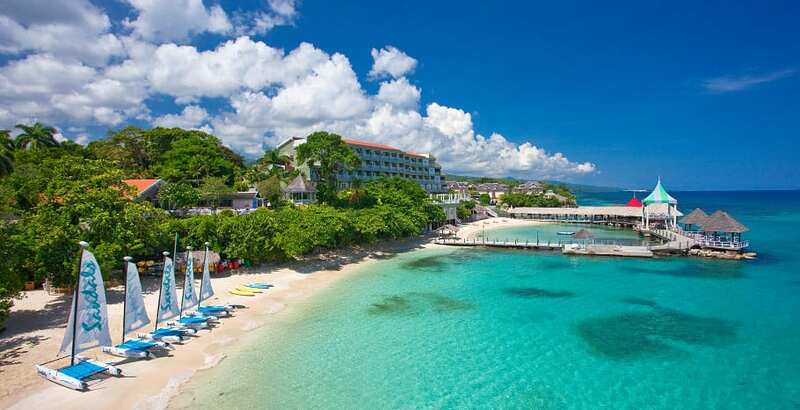 Sandals Ochi is the largest of all the properties of this brand, located in Ocho Rios, Jamaica. It is so huge, it is often described as being like it’s own town. With 17 restaurants, 103 pools, 2 clubs including a speakeasy, this resort couples-only, all-inclusive resort has a lively party vibe, but also has areas for relaxation and privacy. Book a villa set in the mountains with very fast transfers to the main building and beach, or ask your travel agent at Enchanted Honeymoons about the property’s butler suites. This property is perfect for those of you looking for butler service on a lower budget! Sandals Royal Plantation is the perfect place for relaxation and privacy. This all-butler suite, boutique hotel is all-inclusive and couples only. Since it is on the quieter side, it attracts a bit of an older crowd. If you aren’t the type to make vacation friends with strangers or want a bunch of activities on-property, this is the Sandals resort for you. This property offers the best of both worlds because it is located very close to Sandals Ochi, and you have exchange privileges with this property (but not vice-versa, so those staying at Sandals Ochi do not have exchange privileges with Royal Plantation). Use your privileges to party at Ochi, then leave the noise and craziness there when you head back to Royal Plantation. What makes Sandals Royal Caribbean so unique and special are the overwater bungalows! Opened less than two years ago, these bungalows are the perfect place to escape and unwind. This couples-only, all-inclusive property is very relaxed, so if you are looking for nightlife this would not be for you. 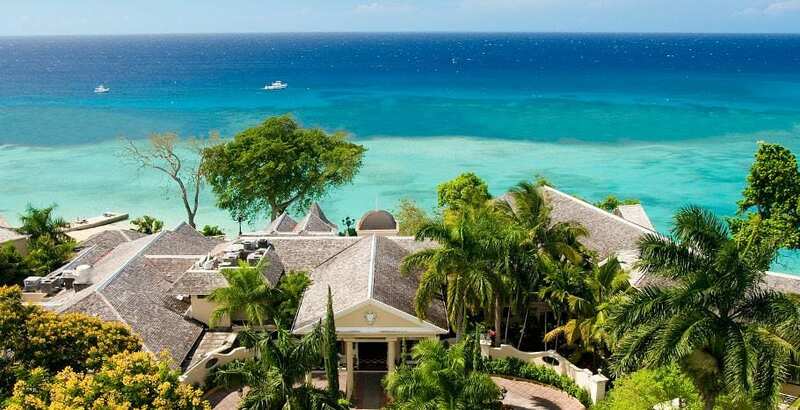 This resort offers “stay at one, play at all”, meaning you have exchange privileges with Sandals Montego Bay, which is about a five minute drive from Royal Caribbean. 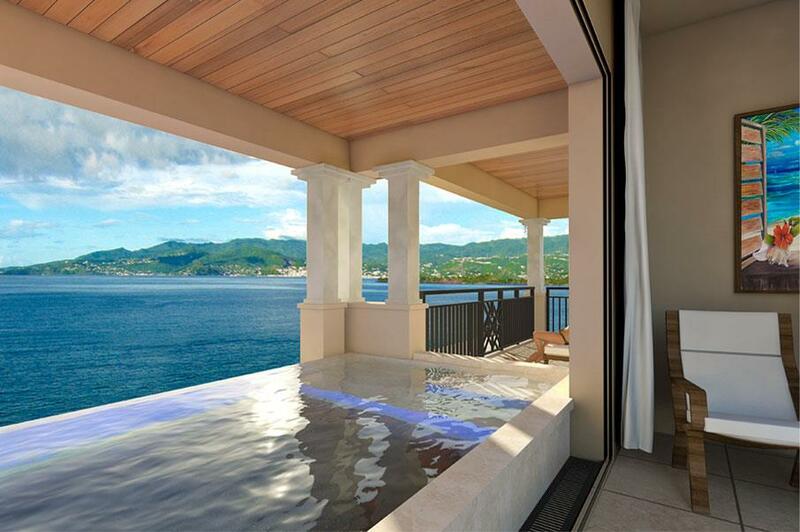 This property, located on Pink Gin Beach in Grenada, is an adults-only haven for vacationing couples. Expect an exotic, unspoiled hideaway that will take your breath away. Experience the brand’s signature all-inclusive luxury and variety of amenities with five pools and 10 restaurants. Spend your days lazing by one of two fresh water swimming pools or the three river pools, or challenging new-found friends to a game of tennis perhaps or beach volleyball. There are also plenty of water sports to tempt you, with unlimited diving for certified scuba divers and PADI lessons for those just starting to venture beneath the ocean! Call us today at 402-281-3022 to start planning your next getaway!